One of the most unique aspects of living in Colorado is the opportunity to own a custom-built, timber frame home in Durango. The timber frame construction company, San Juan Timberwrights has custom-built timber frame homes for current and prospective residents for decades. Established in 1986, owners Mike McDowell and Doug Wakefield have civil engineering degrees and bring a special combination of creativity, technical knowledge and hands-on expertise to the timber frame construction industry. Located in Arboles and Norwood, Colorado, their ability to use unique craftsmanship and reclaimed timber to create energy efficient homes built to last have helped many families settle in the beautiful mountain town of Durango, Colorado. 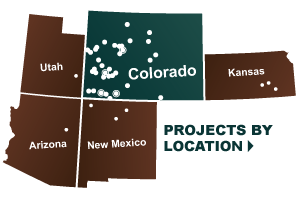 Durango is burrowed in the Animas River Valley and surrounded by the San Juan Mountains. Best known for being home of the Historic Durango & Silverton Narrow Gauge Railroad and Fort Lewis College, it offers the perfect year-round playground for prospective residents to discover! Endless recreational adventures and attractions bribe visitors every year into becoming permanent residents, but nationally known food establishments and award winning microbreweries guarantee resident satisfaction. For the foodies, Durango has more restaurants per capita than San Francisco and it is, also, home of the original Rocky Mountain Chocolate Factory.